riverview is a Traditional Neighborhood Development. 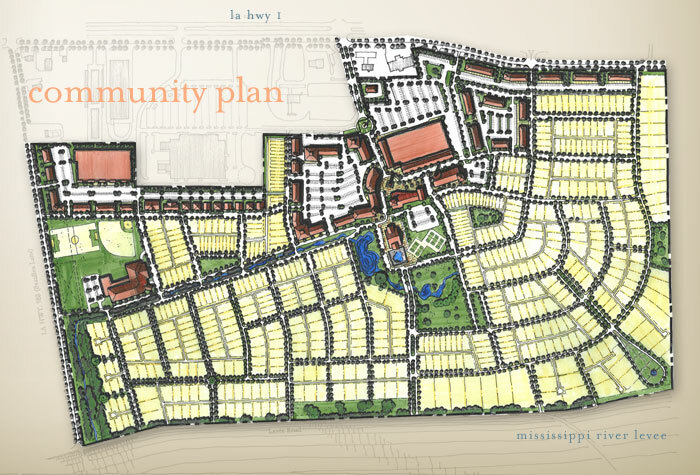 TND's are a revolutionary approach to neighborhood design with a solution deeply rooted in the past. A new urban neighborhood (also known as traditional neighborhood development, or TND) is created at the human scale. Buildings are placed closer together and exteriors are designed to be safe and attractive for pedestrians. Streets are constructed for slower speeds and traffic is dispersed through many different connections. Walking in front of a business or around town is simply a pleasant, interesting activity. Not unlike the concept of a TND, the developers of riverview understand that there are many great lessons to be learned from achievements of our past. Click here to read how a team with a tradition of success has been brought together to make riverview a truly special place.